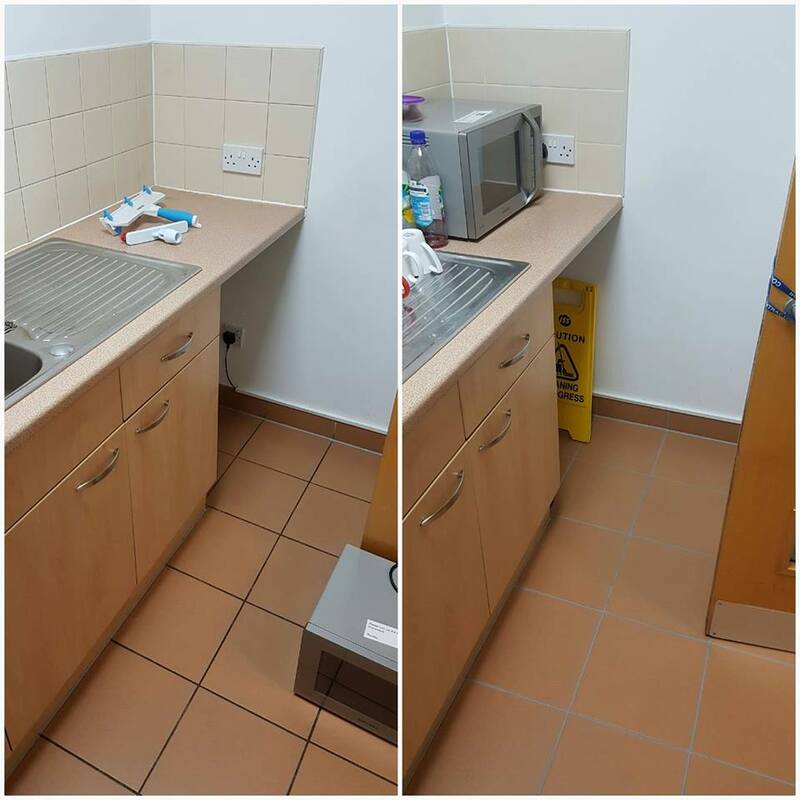 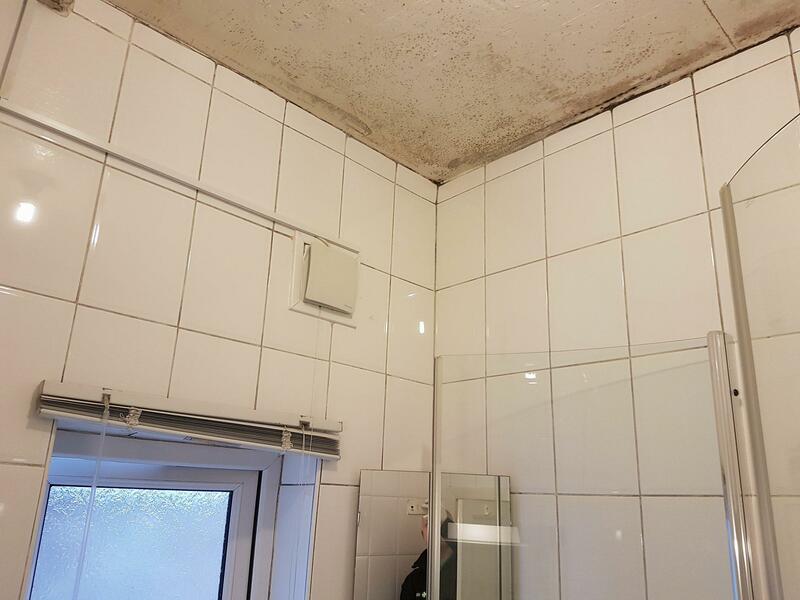 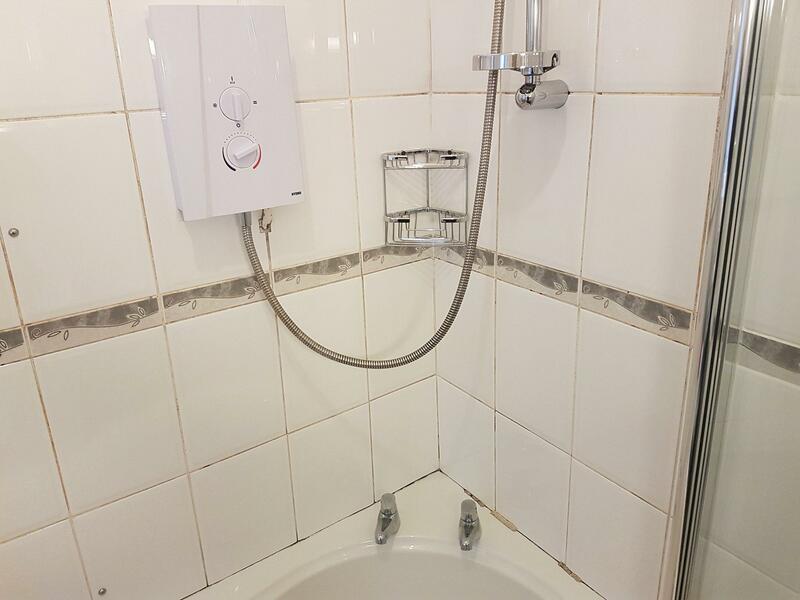 After scrubbing the tiles and grout, we rinsed and removed all the dirty water and cleaning solution with a wet vacuum. 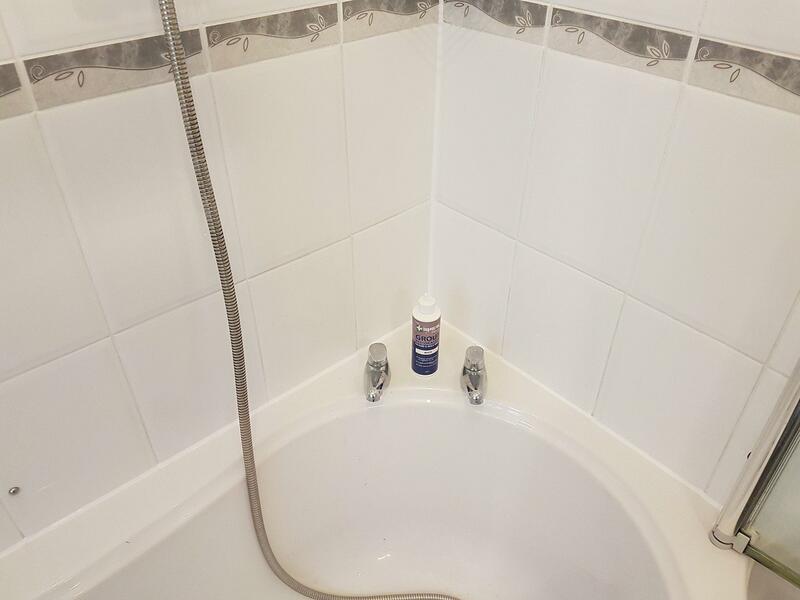 We repeated the rinsing process several times to make sure all chemicals were neutralised. 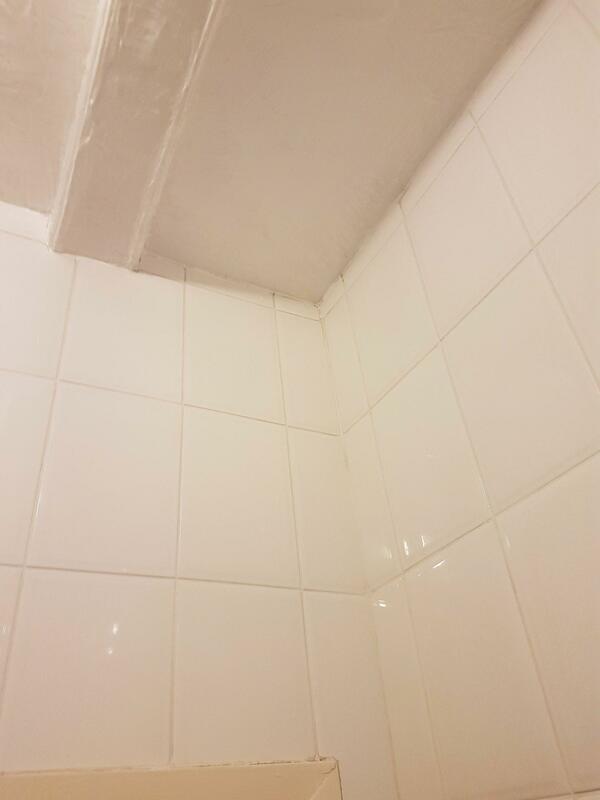 Similar cleaning techniques were used to clean the tiles on the walls, but the walls took a lot longer to complete as the tiles were much smaller and therefore had a greater number of grout lines. 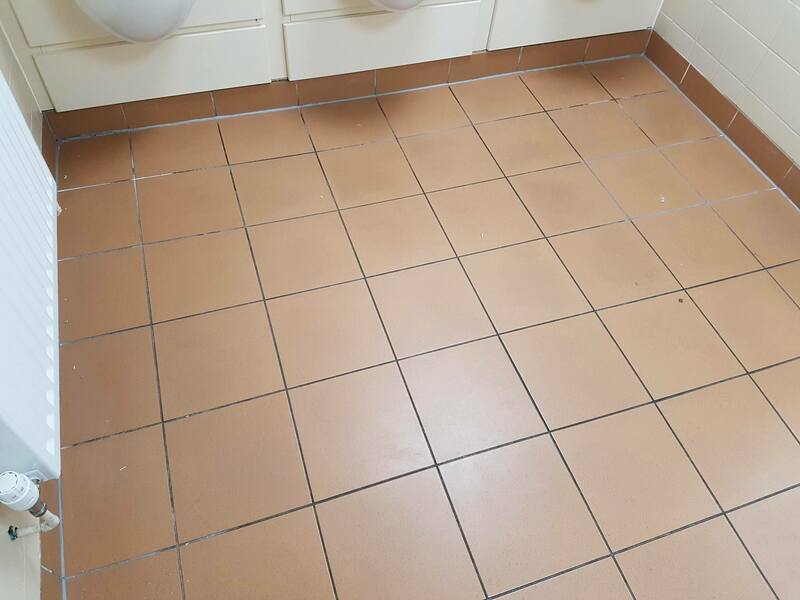 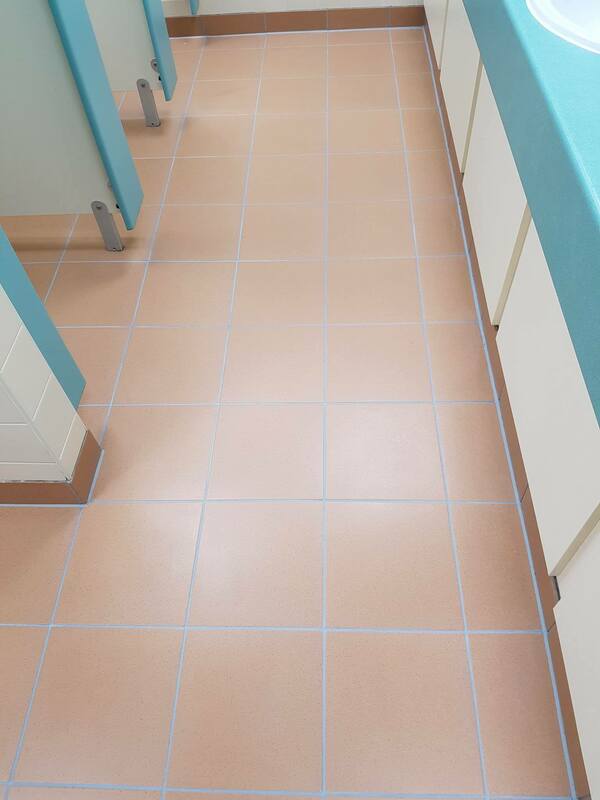 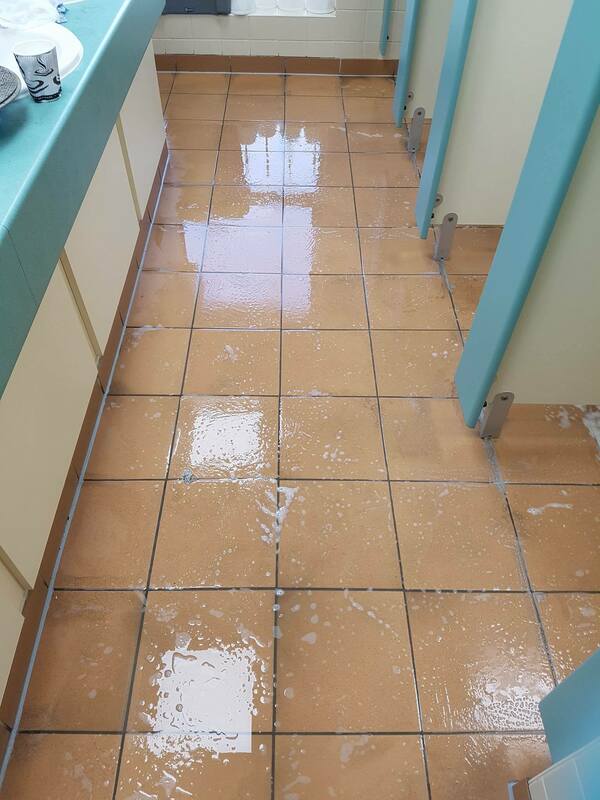 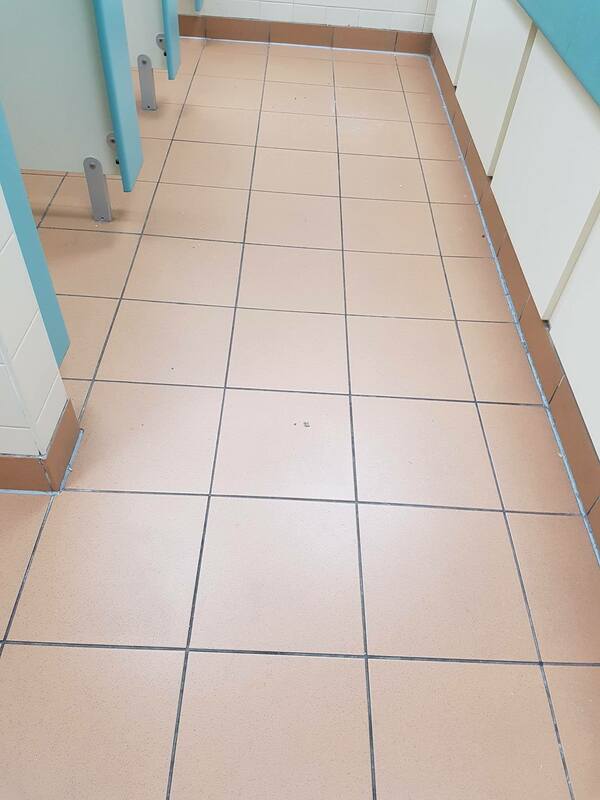 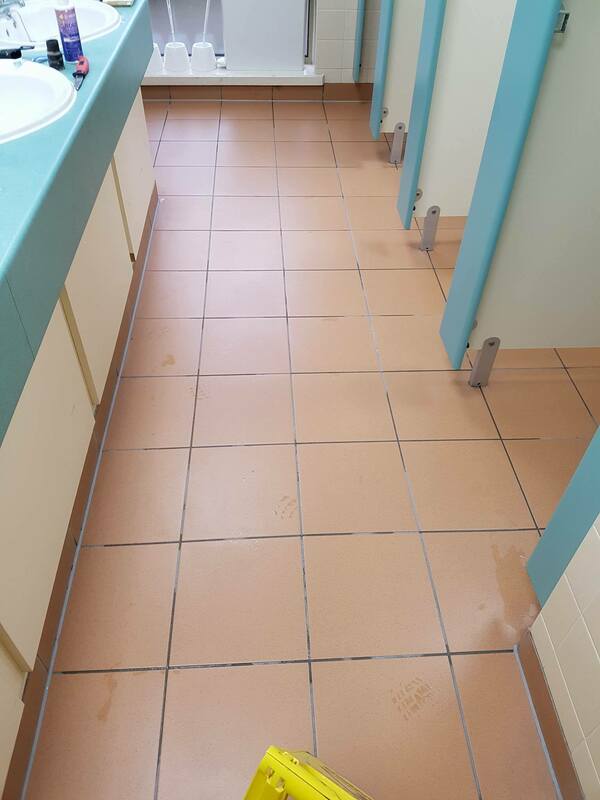 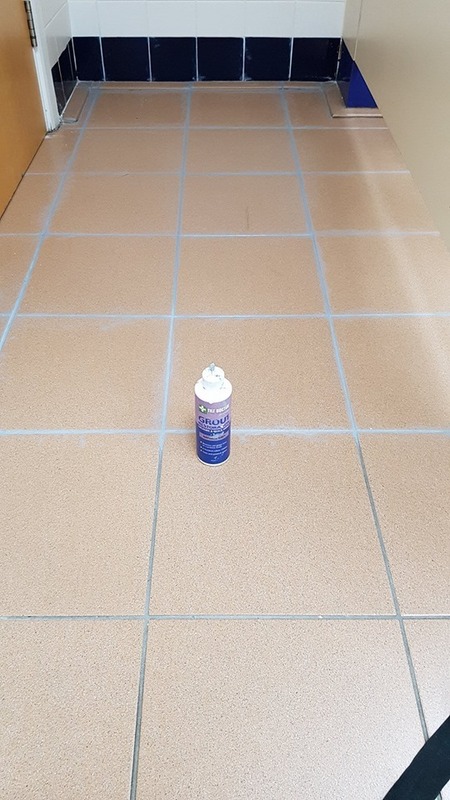 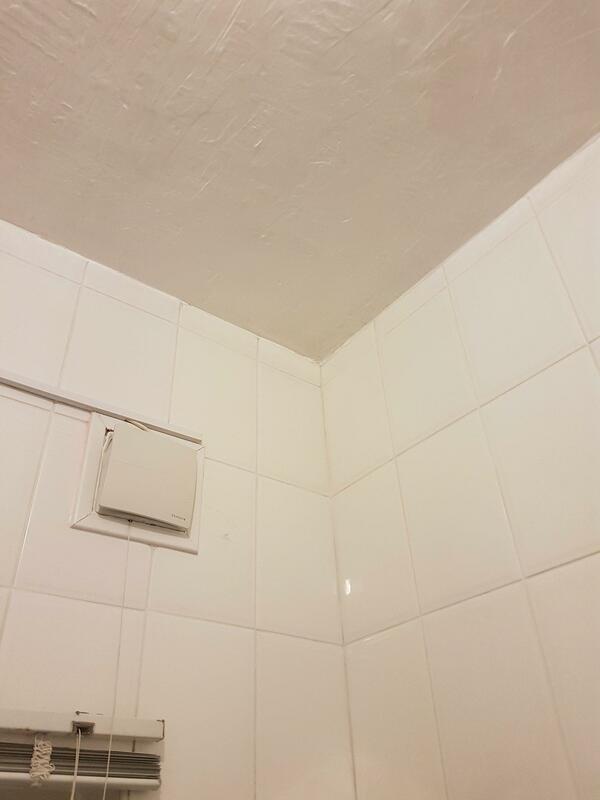 When all the cleaning process was finished, we left the tiles to dry until the next day.